Our client was relocating from London to the Midlands and was unfamiliar with the area. Their brief was for a family home with up to 7 acres of land within commutable distance of Birmingham. Having spoken to all the agents and our contacts in the area, we previewed a range of property options and areas within budget and managed to identify a property that met all the client’s requirements within the first viewings day. We negotiated a significant discount on the sale price which offset our fee and as the property required scope for development we supplied a choice of local architects for our client to select from. We then liaised with the architect and advised the client on the planning process whilst overseeing the conveyancing and keeping in touch with the vendor’s agent to keep all parties fully informed of progress. Finally, we provided a tailored local information guide covering commuting and schools information, as well as local amenities and services. Our client was looking for a city centre apartment close to her place of work in central Birmingham following a relocation from abroad. Fish Home Finders thoroughly searched the market and spoke with all the agents to arrive at a shortlist of the most suitable properties to view. As our client was unfamiliar with the area we also carried out a familiarisation tour of the city a couple of days earlier to provide an overview of the area and property options available. We helped the client to assess the pros and cons of each property and at the end of day two a shortlist of three properties was drawn up in order of preference. We then liaised with the agent on the client’s preferred choice, negotiated a reduction in the monthly rental fee and secured the property – a high quality apartment in a small, quiet and secure development within 10 minutes walk from the client’s place of work and city centre amenities. When the Financial Director of an international company was relocated to Coventry he needed a prime country property within a reasonable commute of his children’s new schools and his place of work. 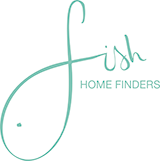 Over a period of four months Fish Home Finders previewed many properties and prepared a shortlist, resulting in two short viewing sessions with the client to save him a great deal of time. At the second session he selected a property which was right for his family’s lifestyle. Fish Home Finders negotiated a substantial discount off the asking price before overseeing the lease negotiations. When his family arrived we were asked to continue to support them to settle in to their new surroundings, including ongoing liaison with the landlord, advising on language courses and medical advice. We also provided a local information pack for the family on their arrival which included activities for the children based on their interests, such as local sailing and tennis clubs.